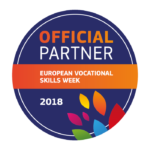 The project Innovative Curriculum on Soft Skills for Adult learners (ICARO) is funded by the ERASMUS+ Programme and aims at designing a customised training path adapted to the needs of each participant in order to get their (re)integration in labour market. ICARO will work with long-term unemployed adult learners, low-skilled and people facing difficulties to access to labour market. ICARO goes a step beyond and it will recognize the skills acquired by the learners after the practical application of the curriculum. They are these skills that, despite being key to being successful in a selection process, still can not be learned anywhere. problem-solving, critical thinking, conflict resolution.